A gathering of MPs, specifiers, Government departments and heating industry organisations have been addressed about the benefits of Passive Flue Gas Heat Recovery Devices (PFGHRDs). Greg Barker, Minister of State for Climate change, led the presentation at Portcullis House, Westminster, where he spoke about the Government’s commitment to its green agenda. Speaking at the event organised by Zenex Technologies and supported by the All Party Energy Group, the Sustainable Energy Partnership and BDR Thermea, Mr Barker confirmed that £860m is available for the Renewable Heat Incentive and that the Feed-in Tariff would help thousands of households over the coming years. The GasSaver works by being fitted to the flue adaptor on top of the combination boiler and recycles any waste heat before it goes through the flue and is lost. The heat recovered from the flue exhaust gases is then used to pre-heat the incoming cold mains water supply before entering the boiler, thereby reducing gas consumption and improving domestic hot water efficiency. The device is particularly effective during the winter months when energy demands are at a high. This is because, as the boiler consumes more gas, GasSaver recovers more wasted energy, cutting fuel bills and reducing CO2 emissions. 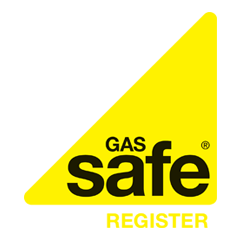 GasSaver is a low carbon technology, it’s maintenance free, as it requires no controls or moving parts, and it’s easy to install. The device provides annual savings of around 37 per cent of the energy required to deliver hot water. These considerable fuel savings can help to address the issue of fuel poverty. Independent tests have shown that if 500,000 GasSaver devices were installed in homes, 56,209,150 cubic metres of gas would be saved and 114,734,118 kg of carbon dioxide emissions saved. The manufacturers of the GasSaver have licensed their products to leading boiler manufacturers Alpha Boilers and Baxi Boilers.